Memories of Cameron Mitchell by Debbie Carlson and a new addition to the Mitchell family! 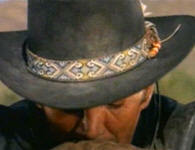 Remember to watch for The High Chaparral 2009 Reunion News, and make plans to attend! Editor's Note: Fan Debbie Carlson knew the Cameron Mitchell family during The High Chaparral years, and graciously agreed to share her memories with all of us. My time with the Mitchell family took place when I was a young teen. I met Cameron Mitchell and his second wife and their two boys when they moved in to the house next to ours in Pacific Palisades. I believe that was in 1967 which would have made me around 12 years old. "High Chaparral" was in production but had not yet aired. The Mitchells were all very friendly and welcoming to all of us curious kids. We were curious about the "actor" moving in but I think more curious about the new family and kids on the block. I quickly became friends with the kids and was accepted into their house. Mr. Mitchell was a very kind and generous man. He seemed to genuinely love kids. He would play ball with us, spray us with the hose as we rode our bikes past his house, tease and joke with us etc. He always made us feel good, telling us how well we threw or kicked the ball, how smart we were etc. We just drank it in. I remember how excited he was when their third child was on the way (a girl). He was over the moon about her. But, it wasn't just all fun. I also remember him insisting we watch certain educational shows like shows about the perils of drugs. After all, it was the 60's. He was very much a father figure to all of us neighborhood kids, not just to his own. I remember things like watching the moon landing at their house and on weekends, he always had a golf game on. He was an avid golfer. The family often included me in outings to dinner with them which were always fun. Mr. Mitchell would sometimes take over a restaurant, going back into the kitchen to meet the chef and being very gregarious and friendly with everyone. He was always kind to his fans. I marveled at how the family handled it considering they were often interrupted during their meals by well wishers. Even at that age, it made me very aware of the sacrifice actors make with respect to their privacy. It was always an adventure. My mother was very aware of Mr. Mitchell's movies and career but she was careful to respect their privacy. But, one time I remember Mr. and Mrs. Mitchell coming over to the house. I can't remember who provided the movie magazines, which as many probably recall were the gossip rags of the day. He read through some of them aloud which had articles about him and his family and it was such a hoot hearing him totally tear the articles apart...total fabrication in most cases. My parents took them to the Hollywood Bowl and they reciprocated by taking my parents to the premiere of "Patton". I think my parents had the time of their lives and I'm sure it was a special memory for them. I was fortunate enough to have been invited to Paramount Studios a few times to watch the taping of High Chaparral. I was fascinated by everything and everyone, including the process. I also was invited to fly to Tucson with his sons to watch them shoot on the Old Tucson set. Everyone was so welcoming. I remember Leif Erickson being very nice even though I was somewhat intimidated by his size and voice. Linda Crystal seemed like a spitfire. I don't remember exactly what I said but it was something of the nature that she seemed so petite and delicate. I quickly learned from her that she could stand up to the boys and take care of herself, and the men there at the time concurred. She was very pretty on TV but even prettier in person. Of course I had a huge crush on Mark Slade, didn't everyone? 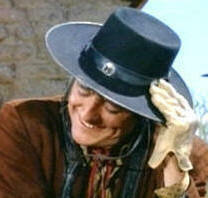 Henry Darrow seemed just like he was on TV...very happy, always smiling with a bit of the devil in him. He seemed like someone you'd always want to be around because he was just so full of life. Of course, I don't know these people, this was just my impression of all of them and what a great experience that trip was. Cameron Mitchell in The Andersonville Trial. I know that my memories are that of a young teenager and in one aspect I regret that. I never thought to ask him about his career, what it was like to work with the likes of Clark Gable, Marilyn Monroe, Spencer Tracy, Doris Day and all the big names of his era. I never heard him say anything bad about another actor. I remember how nervous but excited he was about appearing in a made for TV movie with George C. Scott (this was after "Patton"). (ed. 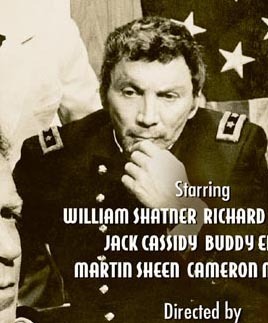 note: that movie would likely be The Andersonville Trial, directed by George C. Scott, starting William Shatner, Cameron Mitchell, Jack Cassidy, Richard Basehart, and a host of others). I really would have loved to hear the stories. Unfortunately the Mitchells moved out of the house next door several years later. I maintained contact with them for a while but they eventually divorced and I had my own life, moving to San Diego to attend college. I wish I knew what their children have done in their lives. Even though this all started some 42 years ago, that friendship with Mr. Mitchell and his family had a huge impact on my life and I cherish the time I was allowed to be a part of it. It was educational on so many fronts. He often made me feel good about myself, I loved the play and fun we had and being allowed to see into the world of acting for a brief time. I suspect he had a great impact on many peoples' lives. From my point of view, he was everything good people say about him. He knew his craft, he was very nice and friendly, he would give you the shirt off his back, generous to a fault, loved kids and was a genuinely good and kind man. 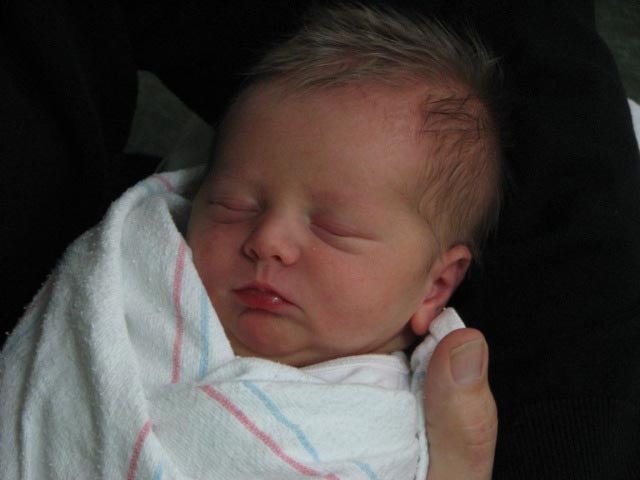 Congratulations to the Rob Mitchell family on the birth of Cameron Mitchell's great-grandson on December 16. Welcome to Zachary Owen Mitchell! 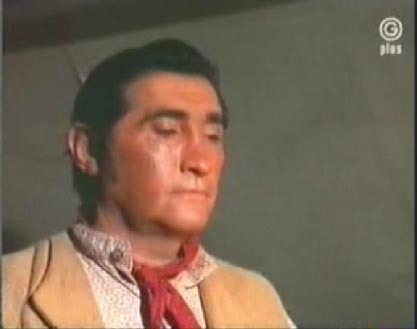 Rodolfo Acosta (Vaquero on The High Chaparral) was born near El Paso, Texas in the then-American community of Chamizac, midway between El Paso and Juarez, Mexico, which has since been ceded back to Mexico. When he was three years old, his family moved to California, where he attended Los Angeles City College and UCLA. He was fascinated by acting, studying it at school as well as at the Pasadena Playhouse. He success in dramatic studies reached a peak at age nineteen, when he accepted a prize scholarship from the Palacio de Bellas Artes in Mexico City, where he stayed for three years. With the advent of World War II, Acosta joined the United States Navy, where he was assigned to Naval Intelligence. Following the war, director John Ford saw him in a stage production and offered him a featured role in The Fugitive (1947). Following this, in 1948, the famous Mexican actor/director Emilio Fernandez wrote for him the role of Paco, a gigolo, in the Mexican film classic Salón México (1948). The part won Acosta Mexico’s highest acting award, the Ariel. He was immediately signed by Hugo Fregonese to co-star with James Mason in the 1950 production of One Way Street, which led to a Universal contract. 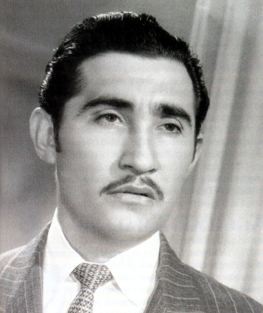 Rudy Acosta was known as a handsome screen idol and heart-throb in Mexico and South America, and this photo shows why. 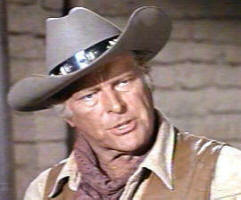 He acted with a gallery of top box office stars, including John Wayne, Robert Mitchum, Marlon Brando and Dean Martin. 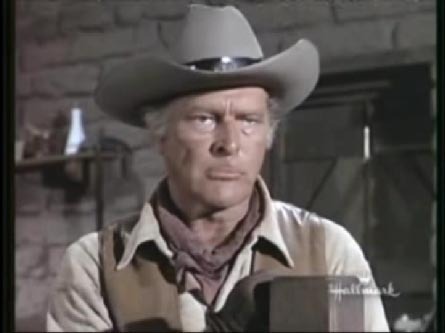 He also appeared periodically on many Western television series, including Have Gun Will Travel (1957-63), The Big Valley (1965-69) and The High Chaparral (1967-71). Other credits include Pancho Villa Returns (1950), Hondo (1953), Wings of the Hawk (1953), A Life in the Balance (1953), The Littlest Outlaw (1955), Bandido (1956), The Proud Ones (1956), The Tijuana Story (1957), One-Eyed Jacks (1961), How the West Was Won (1962), The Sons of Katie Elder (1965), Return of the Seven (1966) and Pat Garrett and Billy the Kid (1973). Thanks for creating the newsletter! I am excited I found it!! Do the reunions happen every year or is there one scheduled in the future? Thanks for your kind comments about the newsletter! The reunions have been on an every-other-year schedule. However, it is a volunteer effort, put together and paid for through the efforts of fans like yourself, and so there is no guarantee what will happen in the future. If you're interested in attending and meeting some of The High Chaparral cast and crew, then take advantage of the chance at the 2009 High Chaparral Reunion.Register today to secure your spot at the 42nd anniversary reunion. We hope to meet you in Tucson at The High Chaparral! For details and to register visit The High Chaparral Reunion website. What happened to Sam Butler (Don Collier) during the 3rd season? His brother Joe Butler (Bob Hoy) does very well as ranch foreman, but Sam is missed by the fans. 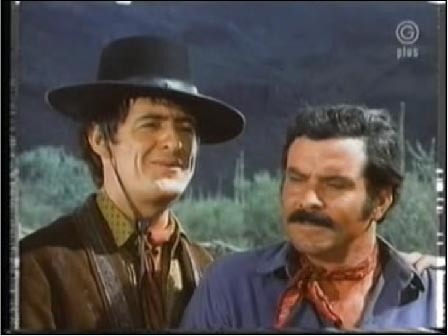 Don Collier had an opportunity to take a role in the motion picture Flap (with Anthony Quinn, Rudolpho Acosta (Vaquero), and Anthony Caruso (El Lobo) and directed by Sir Carol Reed) during the filming of the 3rd season of High Chaparral, and asked to be released from his contract. 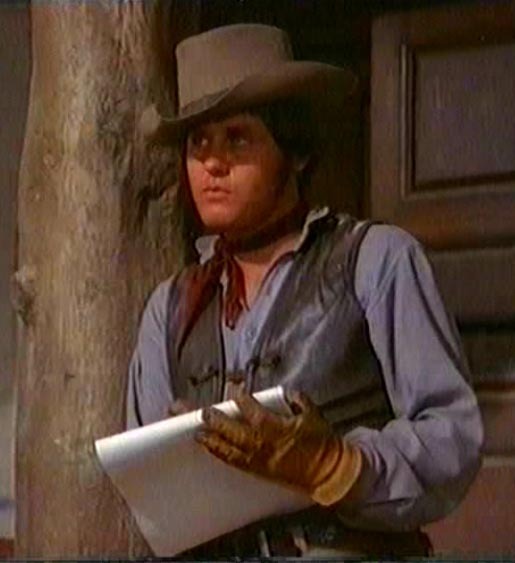 After filming on Flap was over, he requested to return to The High Chaparral as Sam Butler, and was re-hired. 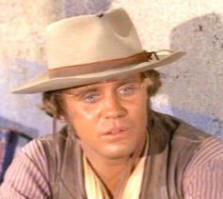 Sam's absence was noted in the episode Jelks, when Buck, Blue, and Manolito drafted Joe Butler (Bob Hoy) to take his brother's place in the essential role of ranch foreman. In this clip from Jelks, Buck, Blue, Manolito and Pedro urge Joe Butler to speak to Big John about the missing Sam, and how the ranch needs a foreman. 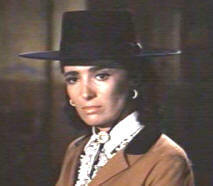 High Chaparral's interior scenes were shot at the Paramount lot in Hollywood. Anyone know which sound stage they used? Paramount Stages 8 and 9 also housed many Star Trek productions, including the first seven feature films, The Next Generation, Voyager, and Star Trek: Enterprise. Does anyone have an mp3 of HCs closing theme? It's been years since I've seen the show and don't remember if the closing theme was longer than the opening theme. Today's re-broadcasts typically cut-off before the final closing theme is finished, so I haven't been able to get a complete closing theme for you. In consolation, here's an mp3 of the opening theme. Can anyone tell me what the following Spanish words actually mean? I bought a Spanish/English dictionary but for some reason they are not in there: Filibusteros, Andele and Vamanos? Spanish is used often in dialog in HC, and the two words vamanos (let's go) and andele (go ahead) are particular favories of Manolito (along with querida, which means wanted, or dear). Filibustero (from the episode The Filibusteros) is a real historical reference to a group of individulas who engaged in unauthorized warfare against foreign countries in North and Central America in pre- and post-Civil war times. There were some very famous and mis-guided filibusteros who would have been well known to the people of 1870's Arizona, you can read about some of them here. I recently found a photo of Manolito with a slight beard. I can't recall seeing any of the other characters sporting stubble or beards - did they? Yes, whenever the storyline would keep the men out on the trail for several days, they would often show the signs of a beard or stubble. Bob Hoy (Joe Butler) once remarked to me that when the script called for a scene that would have put his character Joe Butler out on the trail, he would plan to show up at work unshaven after a weekend, so as to be authentic and in character. Meet the people who made The High Chaparral, at the ranch! Guests who plan to attend include Henry Darrow (Manolito Montoya), Don Collier (Sam Butler), Bob Hoy (Joe Butler), Ted Markland (Reno), Rudy Ramos (Wind), Neil Summers (Stuntman), Kent and Susan McCray (Producer and Casting), Bob Shelton (Creator of Old Tucson Studios), and more. Don't miss this extraordinary event - Register today to secure your spot at this 42nd anniversary reunion. 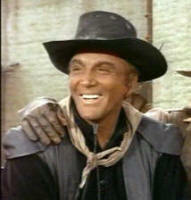 The list of fans planning to attend is growing daily - we hope to meet you at Old Tucson Studios at The High Chaparral! For details and to register visit The High Chaparral Reunion website. The latest RedactedRedux posting features a Christmas cartoon by Mark Slade, on the Mark Slade Studio website. Barbara Luna always causes a stir, and her visit to the set of Enterprise was no exception. Check out this blog listing, which calls her ageless, red-hot, and never boring! Penny has asked me to share a bit about my passion for “cowboy” hats. I’ve owned at least 15 of them over the years. The one point I have been asked several times is “how to choose a hat that fits”. Believe me, there is a trick to it. First, choose a color you like. If you’re blonde and fair skinned, like me, a sand color is not the best choice. Most folks like a chocolate, gray or “silverbelly,” or black hat. I tend to like chocolate, and medium brown colors. Most hats come in felt or canvas with a wire brim. Although wire brims are not traditional, they are less expensive, and easier to shape to your face. I don’t recommend running out and buying a Stetson. Buy something mid-range. Staying under $100 is best. I’m not even going to mention straw hats. They’re useless to me, and I have no passion for them at all. Next, the brim of the hat is crucial to having a balanced look on your head, and a width that looks appropriate with your head and shoulders. If the brim is too wide, you’ll look short and squat. If the brim is too narrow then it will give you a comical look. Old West re-enactors often prefer the “Derby” or bowler style hat. That’s not for me. The worst hat I’ve seen on a great actor is the small brimmed sandy colored hat that Randolph Scott wore in many of his Westerns. It was his favorite. Fine. But still a bad choice. Depending on whether you wear your hat for ranch chores, like me, or just for dress up, place the hat on your head then look straight up. If the hat tends to hit your shoulders and pop off your head, then the brim is too wide for your head to shoulder height. It’s a simple test but it works. Brims come in 2.5, 3.0, 3.5 inches and 4.0 inches normally. I prefer a 4.0 inch brim because I’m tall and have a longer nape of my neck. Curling the brim is a personal choice. Some hat wearers insist on curling the brim so high and tight that it looks overdone. A slight upturn in the edge of the brim allows water to channel, and a slight dip in the front and back allows water to run off. I like flatter styling with a little down turn in the front. The flatter brim style gives you more shade in the summer. In the Mojave Desert, I need shade. Even my dog’s name was Shade but that’s a different story. Now for the crown, or top of your hat. There’s a gazillion crown shapes to choose from but I’ll stick with traditional styles. Most cowboy hats were sold “open crown”, meaning no shaping. It was a cowboy’s preference to dent and pinch his crown for his own style or need. Hats were dutiful, comfortable, and stiff brimmed. Some men wore Mexican sombreros in woven straw or felt. Some liked the short brimmed bowlers with high-mounded crowns. In all, the pinch was a Gus crease down the middle front, the Montana Peak with four equal dents on a high 6-inch crown, a telescope-styled based on making a circular crease so the top of the head fit tightly into the crown, and a hand worn pinch with a forward crease and two side dents. Mostly that style was just something that happened with wear, and not necessarily a style at all. Most hats were filthy, well worn and damaged from being used so much. Individual style was shown in the hatband: ribbon, high or narrow, a horsehair braid, a leather twist with knots or braid, or a simple narrow leather band. I prefer a braid with a matching chinstrap. One last note about selection. The size of the hat is measured by the head circumference about a finger width above the ear and continuing across the brow line. If the tag in the hat says “small, medium or large”, find another hat. You should know the size of your head to get a good fit, and then purchase hats with true sizes of 20 inches up to 26 inches. Increments of one-eighth of an inch helps get a calibrated size. In 1865, as the cattle business began to boom, Stetson became convinced that the cowmen of the West would recognize his hat as a useful addition to his wardrobe. He began to produce the first incarnation of his 'big hats', originally called the Boss of the Plains, and immediately dispatched samples to potential dealers throughout the West. As they say, 'to make a long story short, Stetson was soon inundated with orders for his unique headgear. He even attracted the attention of the Texas Rangers, who quickly became the first law-enforcement group to wear cowboy hats as part of their official uniforms. Before long, Stetson was famous for his newfangled headwear, the cowboy hat. In those early years, whether he wore cowman’s gear or not, the cowboy hat had the unique quality of identifying its wearer as someone associated with the West, and the cattle industry. Merely by placing his new cowboy hat on his head, he became part of a growing fraternity of cowmen who carried with them an image and aura intrinsically linked to the Wild West. Victoria wears several different hats, including her riding hat. When shopping for a new hat, take a friend along who will tell you if you look silly, short, too tall, fat, or just right. My personal choice is an Aussie outback oiled canvas hat with a tri-pinched front crown and a 4-inch brim. My hat is not considered traditional but there is a movement afoot to include the Sou’wester because Aussie rangemen came to America sporting their oiled hat versions prior to the popularity of cowboy hats that came in the late 1860s through the 1870s. Questions, comments, feedback? Email us at info@highchaparralnewsletter.com. Don Collier, Bob Hoy, Denny Miller, Festival of the West, March 19, 20, 21, 22, 2009, Scottsdale, AZ.